No one will prefer to stand in queues to pay railway tickets, mobile bills, electricity bill and other necessary needs. 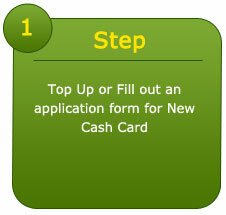 MyMoneySeva brings you cash card facilities and thus make your life simple. You can recharge your mobile, make international calls and get to pay your bills with MyMoneySeva cash cards at amazing discounts. Get to experience the convenience to hassle free and safe shopping without paying any extra credit card like charges. This cash card powered by ICICI Bank can be used to withdraw funds from ATMs. It is reliable, convenient option for making payments and you can make purchases at merchant outlets using this card. There is no restriction on the number of re-loadings on a card. We provide a facility of instant SMS alerts and you can check all your transactions online. Benefits of cash card include instant payments, increased productivity, lost card blocking and replacement, no requirement of minimum balance, reduced administration cost, safe and secure. By using Done Cards transactions are quicker and less complicated. These cards are limited to the existing funds in the account thereby preventing the consumer from racking up debt as a result of its use. This card helps parents to send funds to their children and restrict expenditure according to their budget. 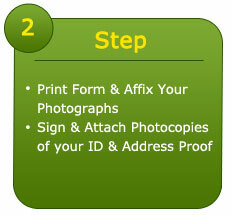 A Done Card can be used anywhere and keep accounts safe from identity theft as well as fraud. Make your payments easier and risk free with OSS Cash Card which is a prepaid card and a secured payment gateway. Customers can do endless transactions anytime and at any location through mobile or by internet. It is a viable for users who do not have an access to banking service. You can do online shopping, book flights, reserve hotels and perform other activities using OSS Cash Cards. It is user friendly multipurpose payment card.